The first of these is a set of new proposals currently being discussed by the National Congress of Brazil, the country’s legislative body, which aim to lower the cost of mobile payment transactions and encourage competition between merchants and service providers. The new rules essentially focus on making mobile payment secure, and create a framework in which the Central Bank is responsible for regulation of the sector. Congress is due to finalise the new rules within the next 120 days, after which they will be passed into law. Earlier this month, Brazil gained its first ever mobile payment service with the launch of a joint service provided by Spanish and South American telecom firm Telefónica and MasterCard. Available first in Sao Paulo and Belo Horizonte, the Zuum service will allow Brazilians to transfer money, buy credits for pre-paid mobile phones and pay bills with their mobile phone. The second step is a drive by the government to cut away at the layers of bureaucracy around tax and the setting up of new companies in Brazil. 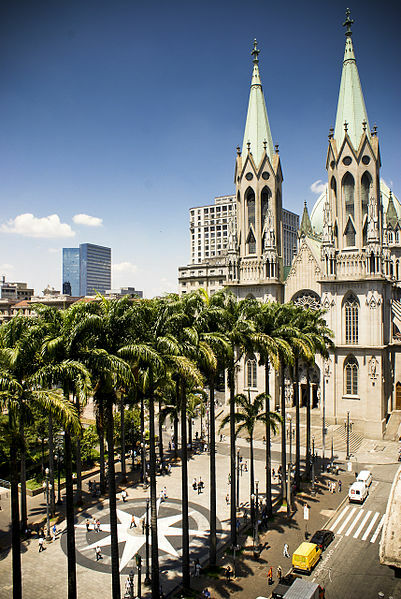 Supported by the World Bank, and including the participation of the Mayor of Sao Paulo, the project aims to boost foreign investment by institutional investors in the country’s capital markets. BRAIN was established by Brazilian exchange BM&F Bovespa, the Brazilian Federation of Banks and the Brazilian Association of Financial and Capital Market Entities. Luciana Dias, board member at the Securities and Exchange Commission of Brazil, added that foreign institutional investors can soon expect to gain authorisation within days. Pointing to the country’s relatively smooth progress through the financial crisis, Dias commented that Brazil should still appeal to international investors. Research from Aite Group revealed that Europe surpassed the US as the largest source of foreign investment into Brazil last year.